The Co-op is pleased to present GroupBuy savings for a 1-year subscription to Redbird Mathematics and Redbird Language Arts & Writing from McGraw Hill Education. Redbird is a highly-personalized, adaptive online curriculum developed by Stanford University and was built on the same platform as GiftedandTalented.com. Redbird is a great fit for children who need to build the foundations for their math skills, including algebra, and develop their literacy and critical thinking skills in language arts. 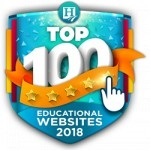 These online courses might just be the math and language arts supplement you've been looking for to add to your day-to-day! Developed by Stanford University, Redbird Mathematics curriculum for Grades K-7 features the latest in adaptive instruction, gamification, and digital project-based learning. Additionally, rich STEM projects, career pathways, and contextualized problems inspire students to develop a love of mathematics and connections to the real world. Redbird Language Arts & Writing is a digital, adaptive personalized learning solution that helps students in Grades 2-7 achieve their full potential as writers - no matter where they are on the learning continuum. The technology is built upon more than 25 years of research in adaptive and writing technology and addresses language and writing standards. 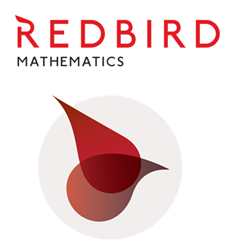 Learn more about Redbird Mathematics. Learn more about Redbird Language Arts & Writing. 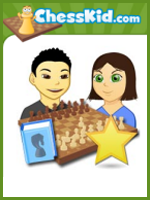 Try the demo for Mathematics and Language Arts & Writing. 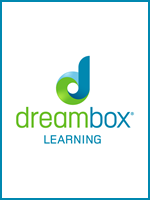 Read results of published and case studies of Redbird's digital curriculum. This course works on laptop, desktop, and mobile tablet devices. Verify the minimum System Requirements (HTML5 Version Course). Check out Testimonials from other Co-op Members. GiftedandTalented.com Prior Subscribers: Please note that the Redbird platform is unable to transfer prior GiftedandTalented.com account information into these new subscriptions. Also, with Redbird there is no longer the GiftedandTalented.com parent portal but there is a teacher account which allows you to view your student data. Fulfillment: The Co-op will provide you with access to your own Redbird subscription within 3 business days of the date you place your order. We will give you access to your subscription with instructions and a log-in link on your "My Subscriptions" page in your Co-op account. We will notify you by email when the links are available. Returns/Cancellations: As this is a special group purchase, you cannot back out once you place your order. In order to bring you these great prices, we cannot accept returns or cancellations. Please be sure to review the demos for Mathematics and Language Arts & Writing before you purchase. NOTE: Your payment will be processed when you place your order to allow us to offer members the Paypal 'Bill Me Later' payment option. Redbird independent study courses build the foundations for student math skills, including algebra, and develop their literacy and critical thinking skills in language arts. 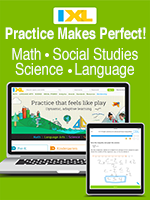 Math: Advanced Edition systematically develops the foundations for Algebra readiness including: number systems, fractions, computation, proportional reasoning, expressions and equations, and critical topics in geometry and measurement. 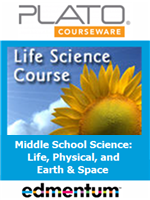 Course Structure: Each unit of Redbird Math is embedded in a STEM (Science, Technology, Engineering, Math) theme. Select units conclude with a digital project-based learning experience focused on the unit's theme. Language Arts & Writing Skills: Arts & Writing: Five interwoven components of Parts of Speech, Sentence Structure, Sentence Composition, Paragraphs, and Reading correspond to the latest English Language Arts standards. Course Structure: Each grade level of content has 9 - 10 units that focus on a form of writing or reading. Units are divided into lessons that include instruction (lectures) and practice (item sets), skill-building games, and Writing Reviews. Includes: Basic Teacher Access - Parents can change grade placements and review student progress. 60-90 minutes per week, per course. In the spaces below, please provide the required teacher and student information. If you need additional students, see the Redbird Bundle (Math and Language Arts & Writing) Add'l Student products below. 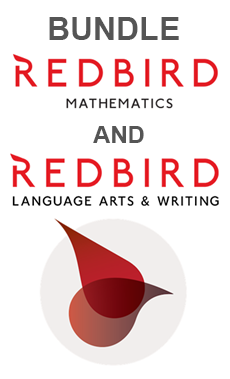 You must purchase a 1st Student Subscription to "Redbird Bundle: (Math and Language Arts & Writing)" above in order to purchase Add'l Student Subscription(s). See product description for "Math and Language Arts & Writing Bundle" for more information. This independent study course systematically develops your child's foundations for elementary math skills and algebra readiness including: number systems, fractions, computation, proportional reasoning, expressions and equations, and critical topics in geometry and measurement. The course continually adapts to your child so she receives material at just the right level of challenge and enrichment. If you need additional students, see the Redbird Math Add'l Student products below. You must purchase a 1st Student Subscription to "Redbird Math" (above) in order to purchase Additional Student Subscription(s). See product description for "Redbird Math: Primary Student" for more information.